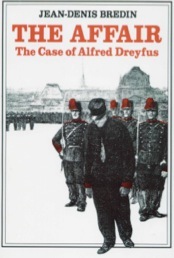 On an autumn morning in 1894, Captain Dreyfus was summoned to appear for a routine inspection; instead, as he took down a letter dictated by a senior officer, he was summarily accused of high treason. So began a twelve-year series of events that included his imprisonment on Devil’s Island, the publication of Emile Zola’s passionate J’Accuse, the Rennes retrial, and the pardon and final rehabilitation of 1906. As the Dreyfus case turned into the Affair, the history of a single military career came to display the conflicts that were tearing France apart: military defeat, anti-Semitic furor, and the place of traditional values in a country still reeling from the turbulence of the French Revolution. Told with an historian’s insight and a novelist’s skill, The Affair makes fascinating and informative reading about one of the most celebrated episodes in modern history.